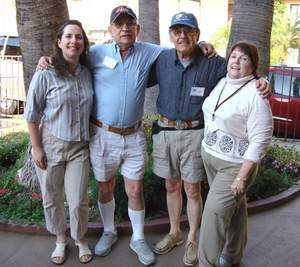 My brother Jerry, partner Neila, daughter Susan and I took a trip down to the Gene Autry Friends Fan Club Convention held in Los Angeles, California. I put up this site to share our adventures. Below is a brief travel log with more details listed on each day's page. August 3th - Jerry flies in 2 pm kids over had pizza Susan sleeps over. August 9th - Jerry returns home on the 1 PM pony express.